The first part of Kew Road used to be called The Crescent. The building on the left is the old Station Hotel. It is still there, but now called the Bull. On the far right of the picture is the entrance to the District Line station. 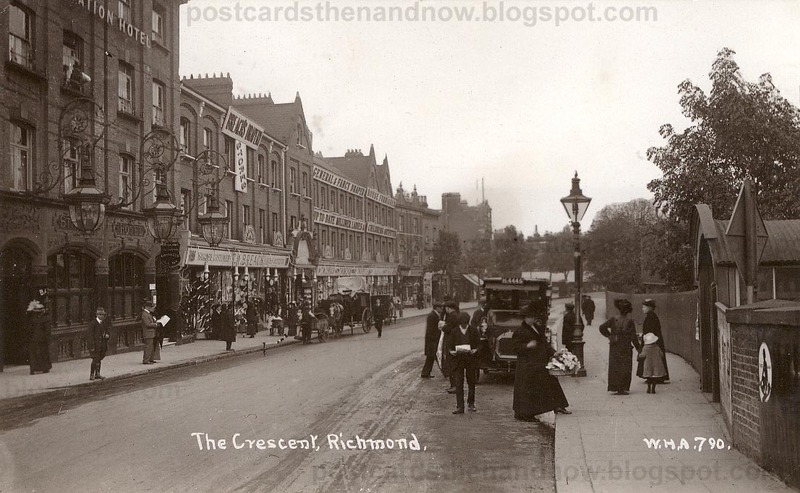 The overground station had its own building on the other side of the road, before the Station hotel. The shops to the right of the hotel are T. W. Breach, Drapers.